As Wells Fargo remains squarely in the crosshairs of regulators over its sales practices, financial advisors continue fleeing to rivals. Most recently, a pair of veteran representatives in Tennessee have left for Janney Montgomery Scott, according to a press release from Janney. Bradley Dickens and Jason Minor, along with private client associate Deidre Ramer, have joined Janney’s office in Franklin as MD Wealth Management Group, according to the press release. The team oversaw more than $177 million, Janney says. Dickens has been in the industry since 1992 and with Wells Fargo since 2000, according to his BrokerCheck profile. Minor joined the industry in 2003 and spent less than a year at Prudential Securities before coming to Wells Fargo, according to his BrokerCheck profile. Meanwhile, Wells Fargo has sold its 65% stake in an investment management firm with close to $14 billion in assets, ThinkAdvisor writes. 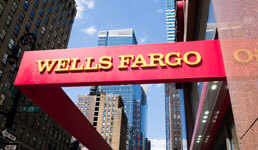 The Washington, D.C.-based RockCreek Group, which has former Federal Reserve chairman Alan Greenspan on its advisory board, serves as one of the subadvisors on the Wells Fargo Alternative Strategies fund, according to the publication. Set up as an RIA and targeting foundations, endowments and pension funds as clients, RockCreek invests in alternatives as well as emerging and frontier markets for institutional clients, ThinkAdvisor writes. The decision to part ways was made by senior executives at both of the firms, according to a press release from RockCreek cited by the publication. The deal, terms of which weren’t disclosed, is expected to close by the end of August, ThinkAdvisor writes.